Has a one piece strong cast metal body with high quality mill stones. Produces commercial grade fine flour while being easy to turn by hand. 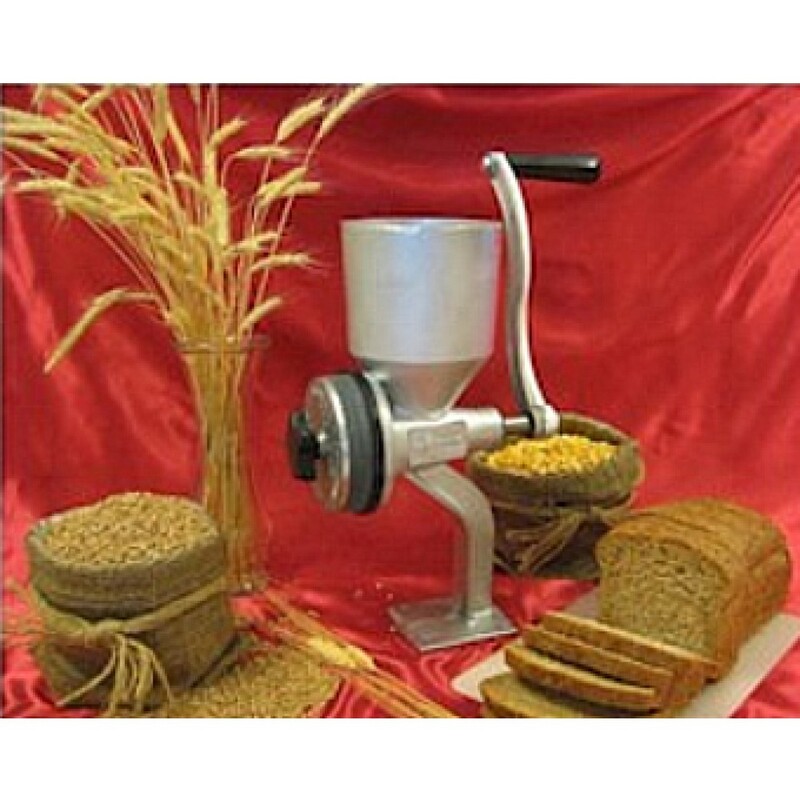 Optional stainless steel burrs grind beans and high oil content seeds. The grain hopper is over one quart in capacity and is a permanent part of the mill’s one piece design. A pan fits easily under the stones to catch the flour as it is milled. Its special bearings extend the life of the mill by eliminating excessive wear of the drive shaft. 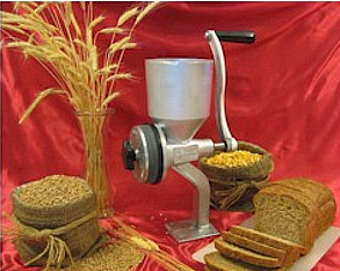 An electric motor can be attached for faster and easer milling. Easily adjustable from corse to fine. Easily cleaned by removing one screw and rotating the stones, then brushing out the milling chamber. Compact design for easy storage and lightweight for moving. You can bolt the mill on a large board or get this optional ajustable clamp to make it smaller and more portable.